This past weekend, I hit up Motorstadt, in Macomb, MI. It was an all-euro show. As usual, there were several bagged GTi's, Golfs, Audis and such. But the cars that most caught my eye were this pair of Trabant 601's. 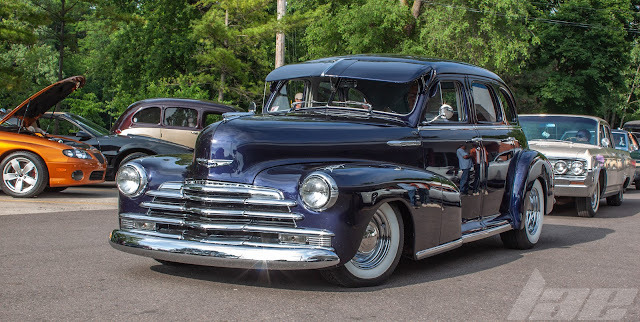 I'm not sure of the years on either of these cars, which isn't that big of a deal, as they remained largely unchanged in their 26-year production run. 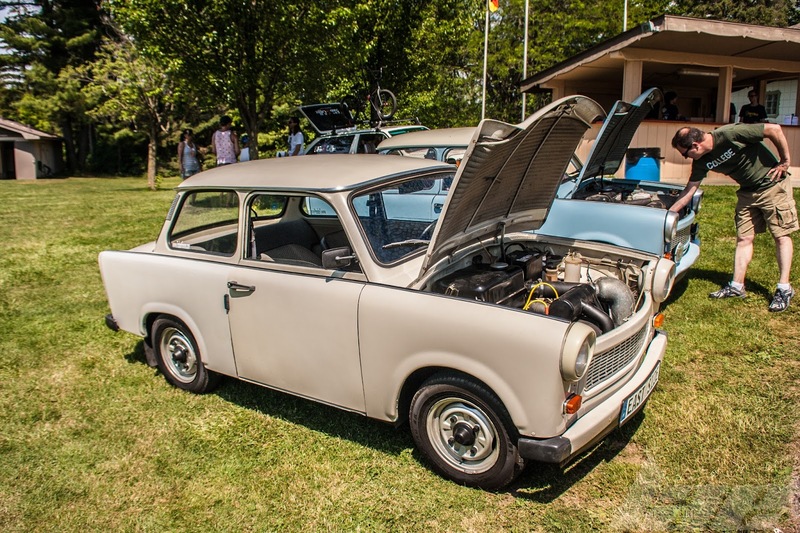 Trabants come from the Cold-War Era, at the height of communism. 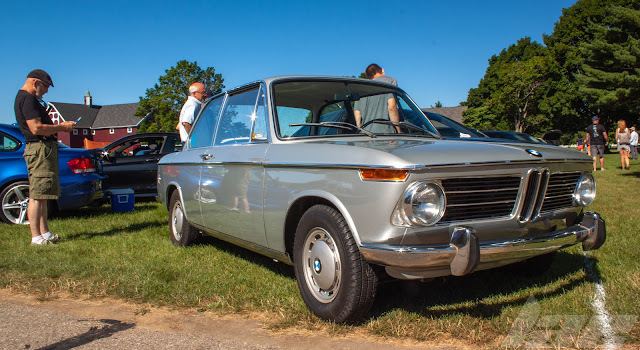 When automakers made cars specifically for the masses. Nothing special, flashy, fast or complicated. Just simple, utilitarian appliances. 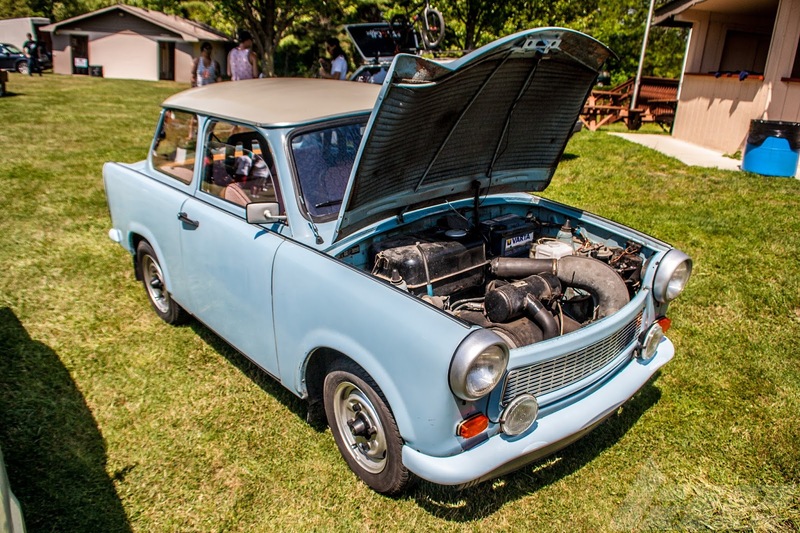 The trabant came with an Air-Cooled P6X 594.5cc inline 2-cylinder making nearly 27hp! 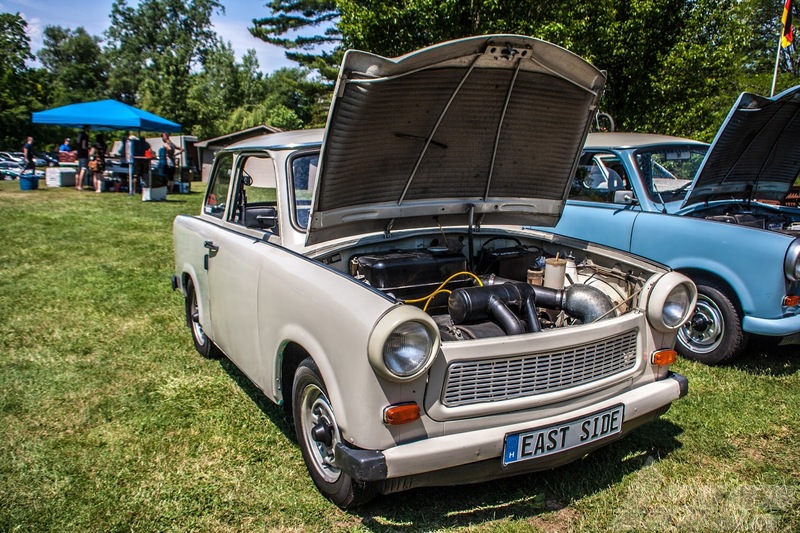 All of this power was put to the ground through a 4-speed manual transmission, propeling the "Trabi" to a blindinly fast 67mph! 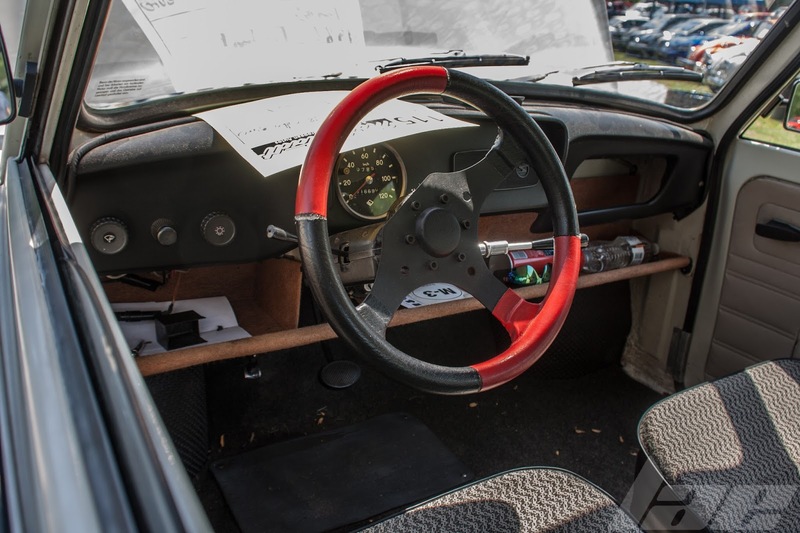 The interior is the definition of Spartan. No ABS, power steering, power brakes, automatic transmission, or, apparently, even a radio. You could get this car in several variants, including an open-side version, a commercial van, a Limosine and even a higher-powered (800cc!!!) rally version! 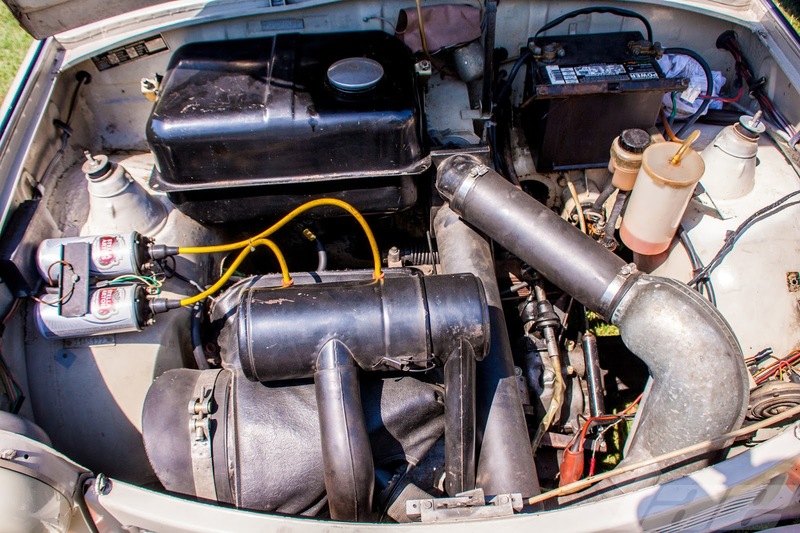 The car even had super-high-tech 1-coil-per-cylinder ignition! 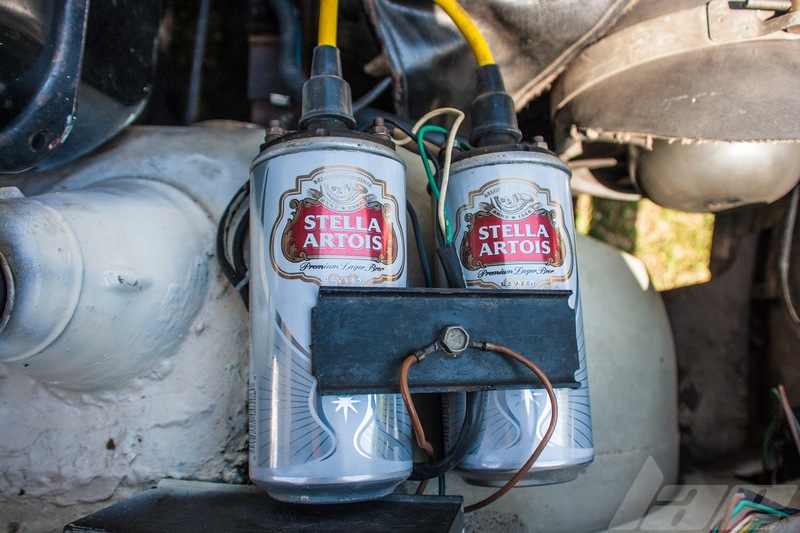 This one has a pair of Stella cans cleverly covering them. Thanks for checking this post out. Please, check back often for more content. Thanks for watching. Be sure to subscribe to Doug on Youtube.